Garnet in color with a nose of red berries. On the mid pallet the wine displays strawberries and some rustic notes. On the lighter side of medium in length on the finish there are some tannins to round out the wine. This is definitely more of a fruit forward wine. The style the LCBO label it as is Medium bodied and fruity. I’d say that is accurate. I would give it an 88 or so. 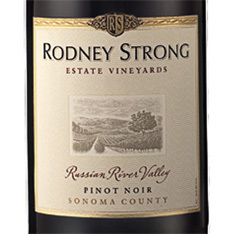 Russian River Valley is among the world’s finest areas outside Burgundy for growing Pinot Noir. This one is beautifully intense with plum, cherry, beet, smoke and spice flavours. Pair with thick grilled pork chops, rotisserie chicken or grilled tuna steaks with mild salsa.